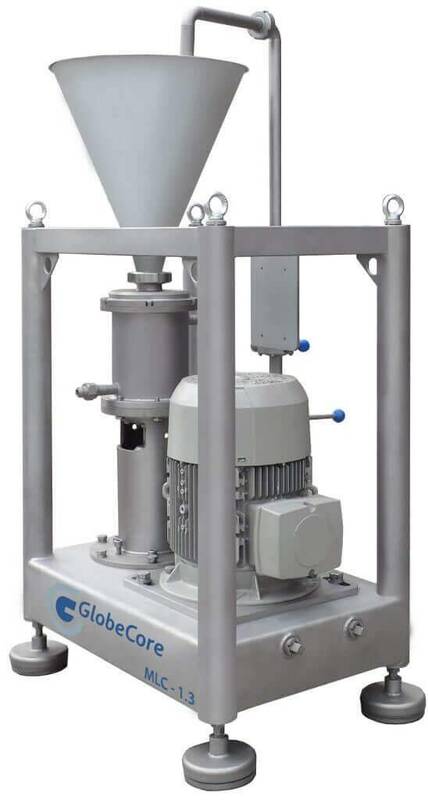 Colloid Mill CLM-1.3 for Food Production - GlobeCore. Oil Purification Systems. 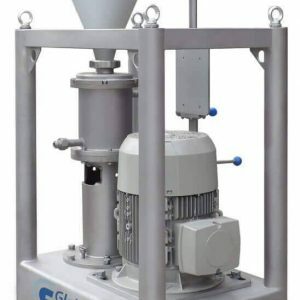 GlobeCore CLM colloid mill is designed for the production of highly stable colloidal solutions, extremely fine suspensions, mixtures and emulsions. “Wet” grinding technique is used, as the rotor and stator cone gap is wider at the inlet and narrower at the outlet. Additionally, the complex geomerty of the stator surface creates increased turbulence, shearing the particles of processed materials. 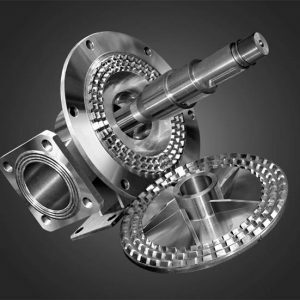 Under the influence of centrifugal force and the high velocity of the rotor relative to the stator, liquid and semi-liquid substances are finely dispersed and homogenized, emulsified, homogenized and dispersed. The mill allows for simultaneous dispersion and homogenization. Heating jacket allows to heat or to cool the crushing zone as required. 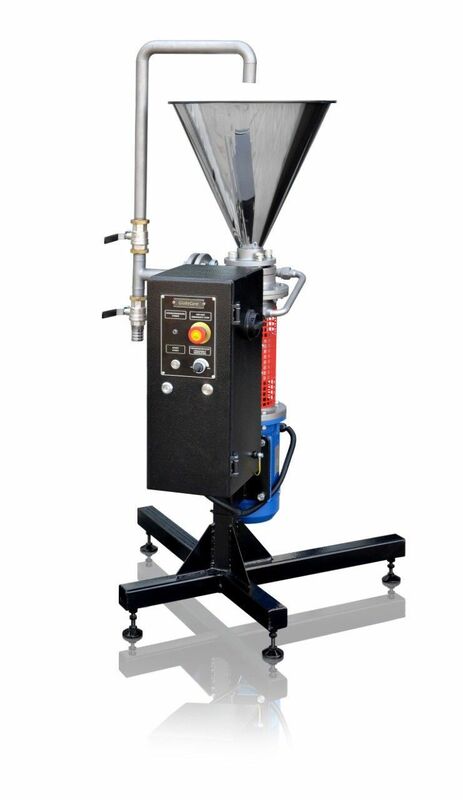 The milling machine features high production rate; it allows to produce highly stable emulsions as well as colloid suspensions, and ensures high degree of homogenization with particle size down to 1 micron. Additionally, cavitation occurs in the mill, i.e. explosion of micro cavities by internal pressure. The mill can be retrofitted into existing production lines. To facilitate high quality milling, the product must enter the mill at designated solid to liquid phase ratio and at a constant rate. Particle size and pumping performance may vary depending on physical and mechanical properties of the material and carrier phase. 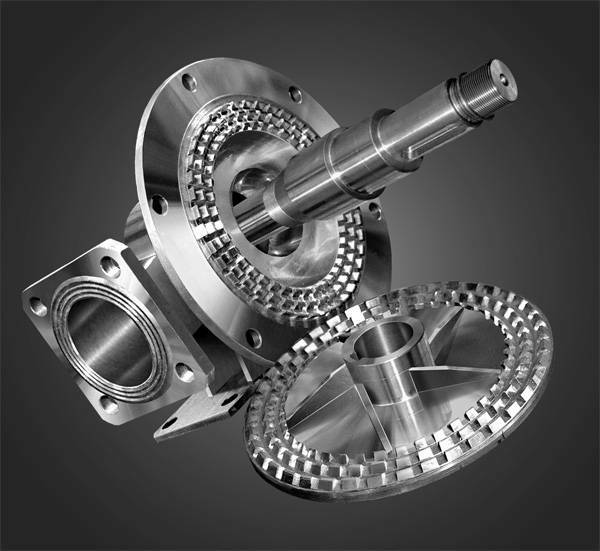 machine-building industry, for the production of lubricating and cooling emulsions, lubricants, process mediums for cooling in heat intensive processes. power industry, for heavy oil in water emulsion production and burning in boiler houses and other power generation systems (reduces heavy oil consumption by 7-10% due to increased combustion efficiency, boiler efficiency increase by 2-3%, decrease of carbon and nitrogen oxide emissions up to 50%, waste product disposal). Conversion of liquid oil waste products into fuel (oil refinery, seaport, industrial waste). Mixing of stable fuel emulsions from oil sludge. chemical industry, for improvement of interphase component contact in multiphase heterogeneous systems, for extracting, for oil product and waste water purification, for production of household chemicals, glues, varnishes, polishes and antiseptics. food industry, for dairy processing, for fat emulsion production, for corn starch production, for making of fruit puree, mayonnaise, yoghurts, soft cheese, kefir, condensed milk, melted cheese, for milk powder and cream production. pharmaceutical, perfumery and cosmetic industries, for the production of high quality stable shampoos, gels, creams, emulsions, medical products, ointments, pastes. Temperature modes from -30 to 180 ° C.